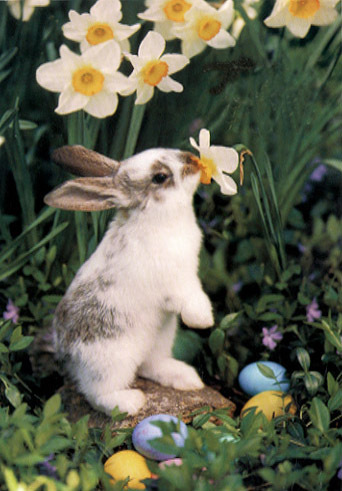 * Eostre (pronounced East-ra) is the Anglo-Saxon goddess of the dawn, from whom "East" and "Easter" got their names. As the fertility goddess of the Northern European peoples, the invading Romans merged Eostre's spring legend with Christianity, to coincide with the time of Christ's resurrection. 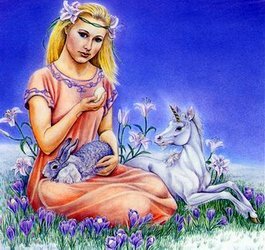 In German mythology, she is also the goddess Ostara, the maiden, and celebrated at the Equninox when night and day are equal and balanced. 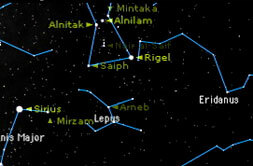 Interestingly, the word "estrus" is also derived from Eostre, for her consort was a rabbit, also a symbol of fertility! We can always use this time to embrace Eostre's energy and look forward to new ideas, new jobs, new goals. Eostre gave Lepus the gift of laying eggs once a year, which, combined with the celebration of Christ's resurrection, is why we have the modern day tradition with the Easter Bunny delivering Easter eggs. The moon may then be another name for Eostre, and its name comes from the Sanskrit word "mas" ~ from ma, to measure ~ and was masculine. Because the measurement of time is an active process, the waxing and full moon was considered male, while the waning and new moon were said to be female. According to tradition, the Jade Rabbit pounds out medicine for the gods with the lady Ch'ang-e. Others say that the Jade Rabbit is a shape assumed by Ch'ang-e herself. 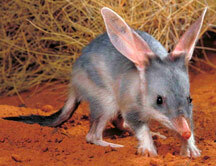 can be construed as the figure of a rabbit. representing its head and body. There are even more explanations accounting for the rabbit/moon connection. 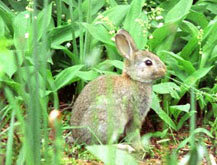 One is that the bunny is nocturnal and feeds by night; another is that the rabbit's gestation period is one month long. 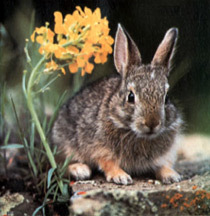 Hares are born with their eyes open, so the Egyptians called the hare "Un," which meant open, to open, the opener. Un also meant period. 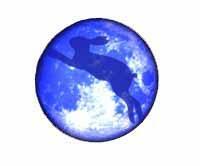 Thus the rabbit became a symbol for the lunar cycle. 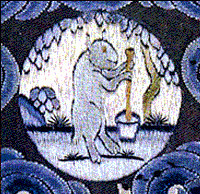 The hare as "opener" symbolized the new year at Easter, fertility, and the beginning of new life. The Rabbit's association with the moon is explained by this story. Once upon a time, a Monkey, a Rabbit, and a Fox lived together as friends. During the day they frolicked on the mountain; at night they went back to the forest. As the years passed Indra, the Lord of Heaven, became curious and wanted to see if rumors of their friendship were true. He went to them disguised as an old wanderer, "I have traveled through mountains and valleys and I am weak and tired," he stated. "Could you give me something to eat?" Immediately, the Monkey departed to gather nuts. After returning, he presented the food to the wanderer; the Fox brought an offering from his Fish trap in the river. The Rabbit ran through the fields, searching desperately for something to offer. When he returned with nothing, the Monkey and the Fox teased him endlessly. Depressed and discouraged, the little Rabbit asked the Monkey to gather some wood and the Fox to set fire to it. Suddenly, the little rabbit said, "Please eat me," and threw himself into the flames. The wanderer, honored and humbled by the sacrifice, began to weep. Then, he proclaimed, "All of you deserve praise, for your offerings were kind and thoughtful. This little Rabbit, however, has displayed true selflessness with his sacrifice." As the other animals watched, the wanderer revealed himself as a god, restoring the Rabbit to his original form and taking the little body to heaven to be buried in the palace of the moon.